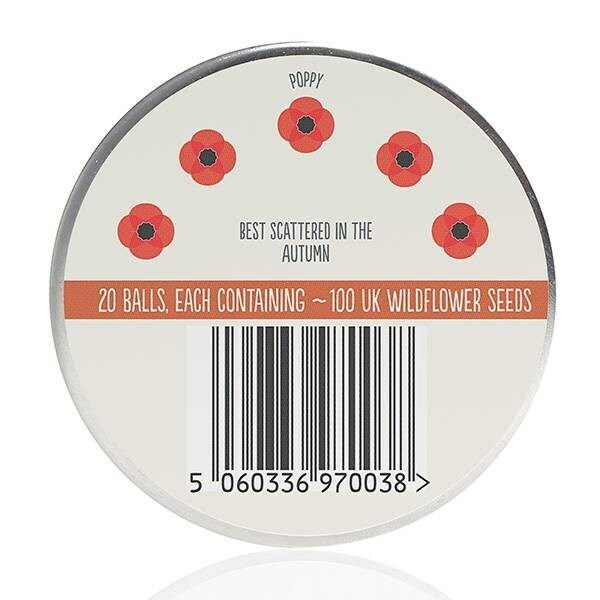 Buy Seedballs poppies: <br><ul><strong><li>Easy to use – simply scatter on soil</li><li>Better germination rates than regular seed</li><li>Includes chilli and clay for natural pest protection</li></strong></ul><br>Effortlessly fill borders, beds or pots with vibrant poppies with these easy-scatter seedballs.<br><br>Each one is filled with common poppy seeds (Papaver Rhoeas) mixed with peat-free compost and a pinch of chilli powder to deter pests. 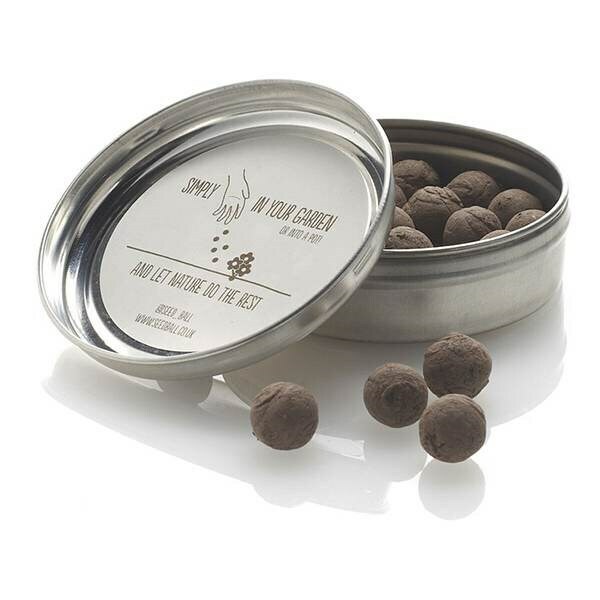 A dried clay casing offers extra protection from birds, ants and mice.<br><br>No planting required, simply scatter on the surface of prepared soil or compost in autumn, water well and nature will do the rest.<br><br>Use around 20 balls per square metre for a garden display or 3-5 in a medium sized pot. Sprouts should be seen from 2-6 weeks although regular watering may speed up the process.<br><br>Tin contains 20 seed balls, each with approximately 100 seeds. 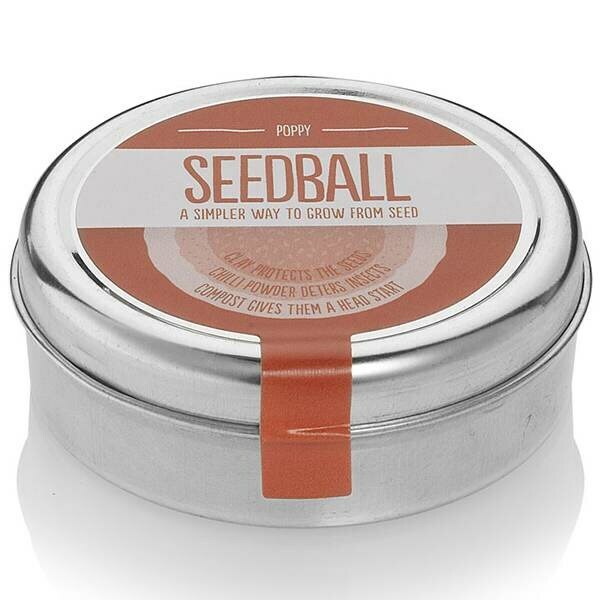 Effortlessly fill borders, beds or pots with vibrant poppies with these easy-scatter seedballs. Each one is filled with common poppy seeds (Papaver Rhoeas) mixed with peat-free compost and a pinch of chilli powder to deter pests. A dried clay casing offers extra protection from birds, ants and mice. No planting required, simply scatter on the surface of prepared soil or compost in autumn, water well and nature will do the rest. 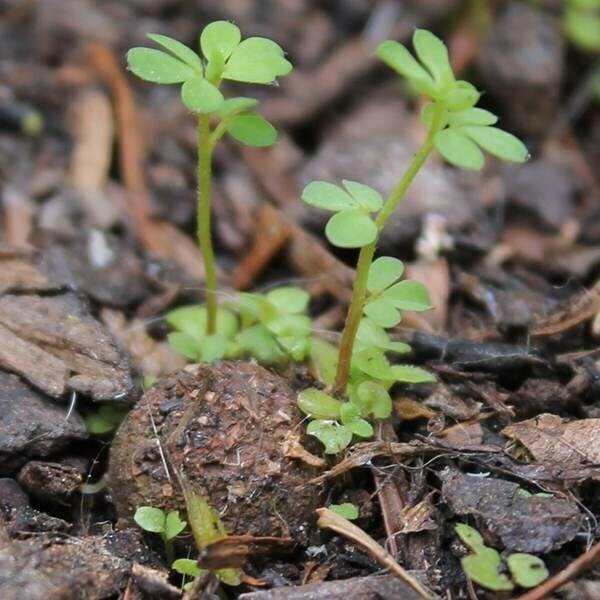 Use around 20 balls per square metre for a garden display or 3-5 in a medium sized pot. Sprouts should be seen from 2-6 weeks although regular watering may speed up the process. 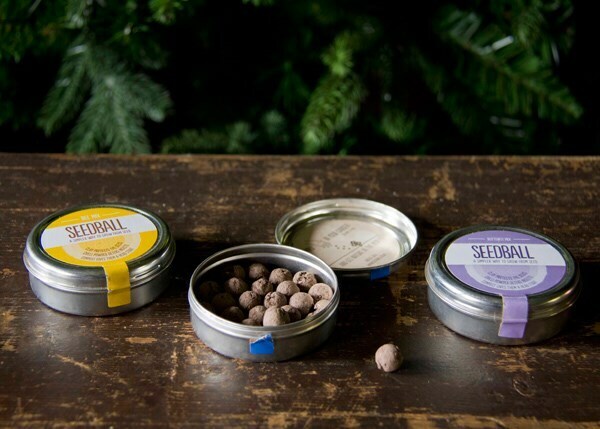 Tin contains 20 seed balls, each with approximately 100 seeds.